I was in a band in Seattle from 1972-1975 called Rose and the Dirt Boys. We were contemporaries of Lance Romance, Prairie Creek, Kidd Afrika,etc., playing country rock and rock and roll (everything from Haggard to Hendrix). I noticed we received mention on the Greasewood City Ramblers page. 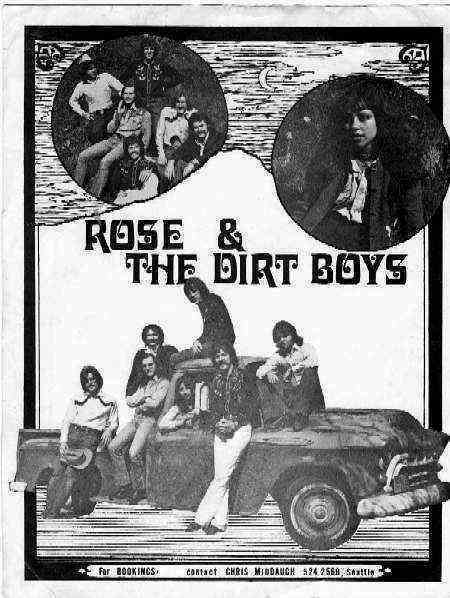 Rose and the Dirt Boys were originally from Norman, Oklahoma, moving to the Pacific Northwest in the early '70s, having secured a house band gig at Tacoma's Quarterdeck lounge. That job proved to be short-term, and the band decided to concentrate on the Seattle area country-rock scene, where they picked up pedal steel guitar player Chris Middaugh. Not long after Chris joined, bass player Rod Talley was replaced by Guy Purdy, and lead guitarist Bill Gallagher joined shortly afterwards. R& the DBs played most of the local venues in Seattle at that time, including the Fabulous Rainbow in the U District, the G Note tavern off of Greenwood, and the Grand Central down in Pioneer Square. Seattle's club scene alone couldn't adequately support the 7 piece band, so they branched out, eventually playing as far south as Portland, at the White Eagle, the Brass Monkey, and Euphoria, northward to La Conner's 1890s House, Bellingham's Pluto's and Vancouver BC's Pender Ballroom and Rohan's Rockpile. They also traveled east to play Goofy's and The Ranch in Ellensburg, and Spokane at the Eagles Lodge. The Eagles Lodge gig was short-lived, however, when the band was fired after playing their rendition of Jimmy Buffet’s “Why Don't We Get Drunk and Screw” on the first night. In between touring, lead singer Ron Bailey gathered several PNW musicians and bands and produced the album "Collectors' Item", a sampling of PNW music popular at the time. 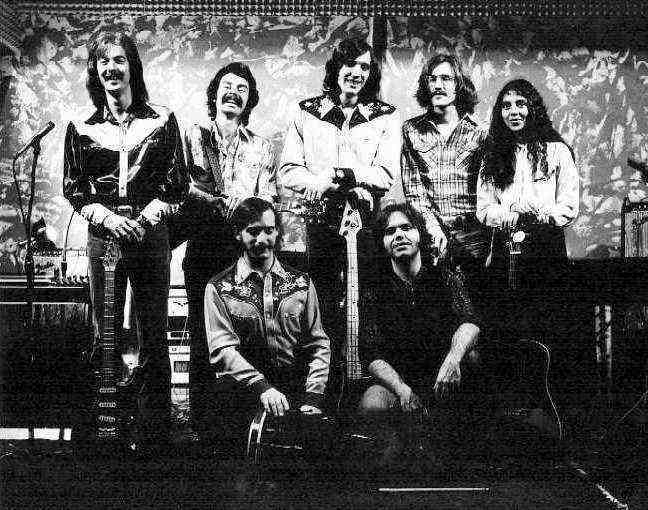 R & the DBs played around the Pacific Northwest from 1972 until 1975, when Rose DeArmas and Ron Bailey left the band to pursue other music-related ventures. The Dirt Boys recruited lead singers John Scott and Donnis Hammond from Southern California, and the band continued for a short while before finally breaking up in mid to late 1975. During their brief tenure, R& the DBs warmed up such acts as Tom T. Hall, Doug Kershaw, and Jimmy Buffet, and the stage was always open to any musician who wished to sit in, e.g.. Bonnie Raitt's touring band, members of Earthquake and the Tremors, Prairie Creek, P.K.Dwyer and Donna Beck, and many others.